Over the next ten to fifteen years, self-driving vehicles are expected to start populating roads across most of the world. But when autonomous cars become the norm, what will passengers do while they’re being driven around? Look at the scenery? Talk to other passengers? Judging from a recent patent, Ford has a better idea: a drop-down movie projection screen that covers the car’s windshield. 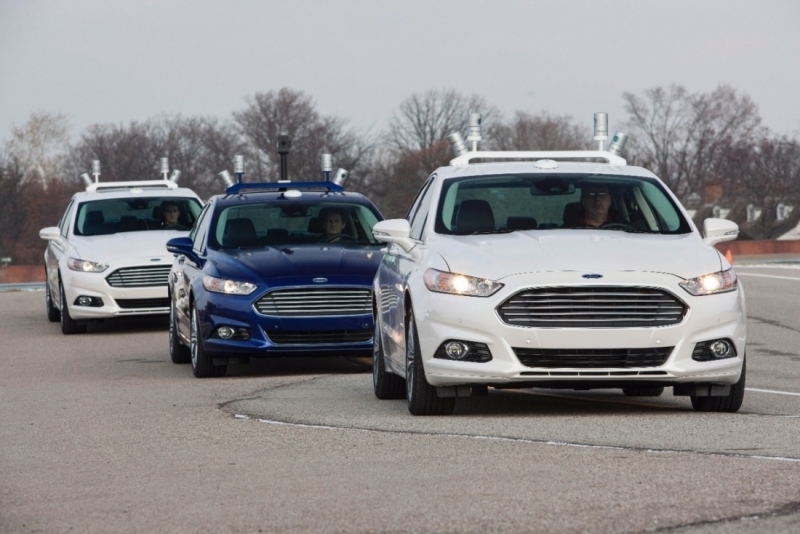 Ford’s patent for an “Autonomous Vehicle Entertainment System” has already been approved by the US Patent Office. It seems the company theorizes that, as these vehicles won’t require human interaction, why not put a cinema in them for those long, boring journeys. According to the patent, initially uncovered by Forbes, "The entertainment system controller presents media content on a first display while the vehicle is operating in the autonomous mode and on a second display when the vehicle is operating in a non-autonomous mode." In addition to the projection screen, the patent suggests that a projector will drop down from the vehicle’s roof. Drawings also indicate that the front seats could be removed to give a full cinema experience. An on-board computer will monitor the autonomous driving sensors and automatically switch to manual mode if it detects a problem, such as a pending collision. Should a passenger want, or need, to take control of a vehicle, the screen and projector will retract, although it’s not clear how someone would drive the car if the front seats are missing. When the big screen isn’t in use, the patent states that another display, integrated into “a dashboard, an instrument cluster, or a rearview mirror” will be available. Like all patents, there’s a strong possibility that this will never become a reality. “Patent applications are intended to protect new ideas but aren’t necessarily an indication of new business or product plans,” said Ford spokesman Alan Hall. Hopefully, this will make it past the patent stage; when autonomous cars become a regular sight, having mini-cinemas inside them may be a fairly cool, if slightly scary, feature.